MM mostly this tier, BM has been second. Have done a bit as survival but it's not as useful. Before that, I've gotten cutting edge since I came back in Nighthold. From before my break my best finish was with Vodka in MoP as world 4th and before that I raid lead for firelands and dragon soul. Some success in ICC and ulduar and before that I did raid but fairly casually. Played in vodka as Xdoctor on a boomkin w/ a rogue alt. Joined after Dragonsoul and played with them till the gm graf quit. Took a break after that until legion. M Jaina - Specific jobs were clicking 2nd trebuchet, part 2 of the interrupt rotation on the elemental, and interrupting Jaina after Nathanos. Being in charge of the trebuchet required that I modify my rotation around it and plan disengages to make sure I get there and keep it firing as fast as possible. Interrupting jaina meant I had to hold turtle and not use lock gate with the group so I could use it later to reach jaina. In game I value my flexibility, drive, quality play, and resourcefulness. 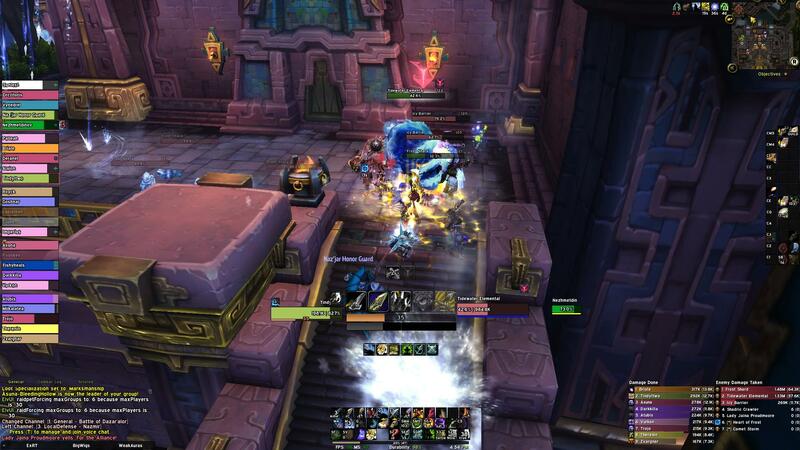 My experience raiding on multiple classes and roles across expansions and tiers shows that I'm able to pick up and learn fights (and specs) quickly. I'm driven to do well and play my best every night; because personally, I value downing bosses more than parsing (not that I don't enjoy getting some ranks too). I try to figure out how best I can help out the raid by contributing calls when needed and making sure mechanics (soaks/interrupts/catapults/etc) get done. And even with mechanic duty (topaz/catapults) I try to optimize my damage as well by combing Warcraft Logs for better ways to do things and fix personal (or raid wide) mistakes. While in raid, I am vigilant and aware, ready to pick up slack or adjust to odd timings and out of raid I enjoy talking strategy and contributing if I feel I have good ideas or notice things to improve. I think the small things add up and that I've made a difference on every raid team I've been in, from my top 5 world days to my no-name guilds. Further, I am 26 and living in a college town in Texas and working on a degree in Electrical Engineering. I have gone through several part time jobs on the side, pizza delivery / bus driving / etc. I enjoy Tennis and cooking and I have a cat named Abbie. My girlfriend is a school teacher working on a masters in emergency management who has somehow gotten used to my raid nights and does her best to feign interest. I have a dry sense of humor that I use to get along with most personalities and hope that I'll fit in. Thanks.